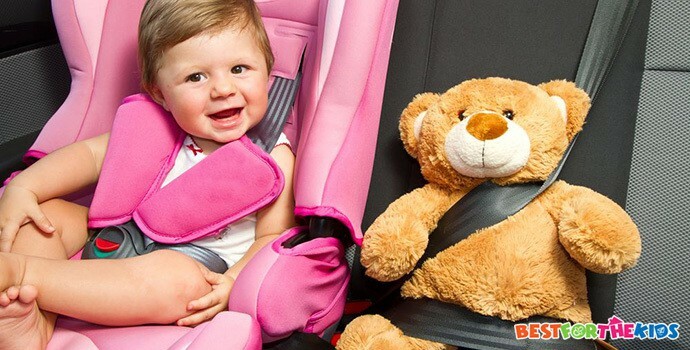 When traveling in the car with your baby, safety is always at the forefront of your mind. You may have already bought a convertible car seat, a safety mirror, and all of the other essential in-car accessories. However, have you considered buying a car seat canopy? No matter if it’s winter or summer, the sun can make the inside of a car get very hot. Even when traveling a short distance down the road, you’ll likely feel a spike in the temperature. When you’re feeling the heat, you can be sure that your delicate baby is feeling it even more. Some car seats will come with their own built-in car seat canopy. However, if yours doesn’t, then it’s vital you look into getting a canopy. Scroll down to see some of the best sun canopies available, allowing you to take your baby in the car, whether it’s raining or shining. As parents, it’s great when you can find a product that does it all. This is why I’ve chosen to put this awesome car seat canopy at the top of my list. With this canopy, you’ll be able to protect your children from harmful UV rays that can burn their delicate skin. This canopy is designed to be larger than most, allowing you to completely cover your car seat on the hottest and sunniest days. If you’re taking your car seat out with you by hand, you can completely cover the seat to protect your baby from wind, rain, sun, snow, bugs and any other nasty things that could endanger your baby. What's Great About It: As I mentioned above, this canopy is very multifunctional. Thanks to the high-quality and durable materials, you can use this canopy for anything. It’s also designed for use as a cart cover, a changing mat, a blanket, a scarf, a high chair cover and a breast feeding cover. 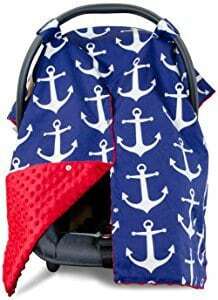 The second Kids N’ Such canopy to enter my list, this is very similar to the one above but gives you a whole new range of benefits that you and your baby can enjoy. Personally, I love the peekaboo design of this canopy. This means you can easily open the middle join to check that your baby is okay. Once closed, your baby will be comfortable and protected in their car seat, without the discomfort or dangers that the sun provides. Since the canopy is made from thick fabrics, the inside of the car seat becomes a lot darker, making it ideal for your baby to catch up on some well-deserved Z’s. What's Great About It: As the title suggests, this 2-in-1 canopy has another purpose. Surprisingly, it’s been designed to be used as a fully functional bib. This is ideal for giving you some privacy when breastfeeding in public. All you have to do is take the canopy off the seat, pop it in your bag and use it whenever you need it. With the Copper Pearl Baby Car Seat, you can enjoy versatility at its finest. 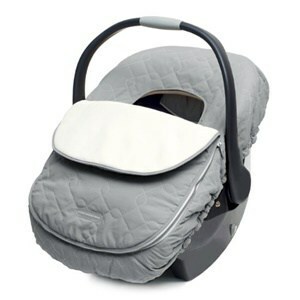 This 5-in-1 cover is simply everything you could want from a car seat canopy and more. Of course, you can use it as a car seat canopy, but you’ll also be able to use it as a high chair cover, a scarf, a blanket, privacy while in public and more. This canopy is made using high-quality breathable materials. This means a constant temperature is maintained, making it suitable for every season. This canopy is also incredibly easy to use. Simply stretch the material over your car seat, and you’re done. There’s no need to clip it on anywhere, and there’s minimal risk of it falling off as it’s a tight fit. What's Great About It: As mentioned above, I just can’t get enough of how flexible and versatile this canopy is. I went to a restaurant recently, and we were able to use it as a cover while breastfeeding, which is so exciting. Next up, I’ve chosen another multi-functional car canopy that protects your bundle of joy from the harmful effects of the sun. You can really see the amount of effort that has gone into designing this quality product. 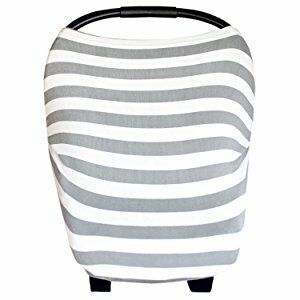 Thanks to its unique design, this canopy works with all major branded car seats, and it can also be used on your stroller. 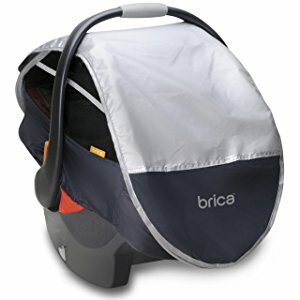 It’s been designed so you can carry your car seat around with you while the canopy stays in place. With regard to the protection that this canopy provides, I was blown away. The retractable mesh layer sports an outstanding UPF protection of 50+, which means it blocks out 98% of all the sun’s harmful UVA and UVB rays. This guarantees that your child’s delicate skin is protected. 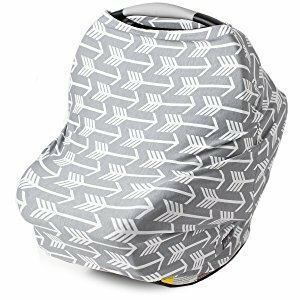 What's Great About It: So that your car seat doesn’t get too hot in the sun, this canopy sports a breathable mesh surface. This will help your baby to maintain a constant temperature as well as increasing air flow and privacy. All canopies are designed to protect your child from the sun, so this is the perfect car canopy to conclude my list. Typically, this is a car canopy that you’ll want to use during the colder months since it has many layers of insulating fabric. These layers come together to create a super-soft and cozy environment that your baby will love. It’s almost guaranteed that they’ll fall asleep as soon as you tuck them into it. With the colder months in mind, the outer layers of this canopy are durable and weather resistant. This means that there’s very little chance of your baby coming into contact with snow, rain or any other uncomfortable weather conditions. It will also help to reduce the effects of wind and frost on your baby as they’ll be warm and snug inside. What's Great About It: Accidents do happen and it’s almost inevitable that your canopy will experience bits of dropped food or a spilled drink. But don’t worry; this canopy is completely safe for washing machines and dryers. As you can see, there are a ton of different canopies out there, each with their own features and functions, and choosing my car canopy wasn’t easy. So, to save you the trouble, here are some key things to look out for. Babies are never normally happy in the car until they get settled, and fiddling around trying to fix a canopy to the seat will only make things worse. With this mind, you’re going to need a canopy that’s easy to fix into place. As you can see from my list above, each canopy is incredibly easy to fix on and, in most cases, can simply stretch over or wrap around the seat, meaning installation takes a matter of seconds. When your baby is traveling in the car, one of the most important things you’ll want to look out for is the effects of the sun. Your car windows will only amplify the heat, so it’s important that you create a shady environment using a canopy. If the sun is a major issue when traveling in the car, look for a canopy that provides you with actual sun protection, not just a shady environment. Most of us don’t just use our car seats in the car; we also take them around with us to carry our baby. This opens up a whole new world of external elements such as the wind, rain and snow that you’ll want to protect your baby from. By buying a complete cover, you can do this effortlessly and safely. Once you’ve introduced a car seat canopy to your everyday life, you won’t believe that you managed without one. With full protection, you can take your baby everywhere and anywhere, no matter what the weather is like outside.